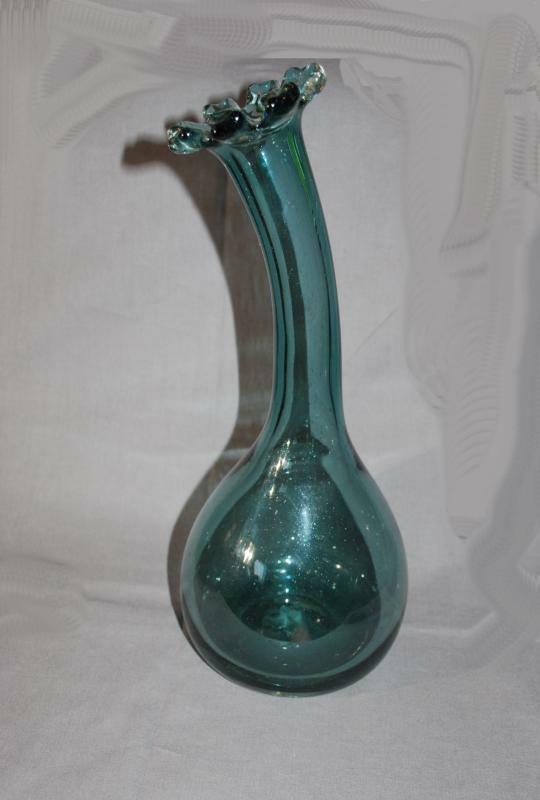 Beautiful and rare Dark Art Glass Teal Blown Glass Bent or Curved Neck Vase that has flower blossom opening. 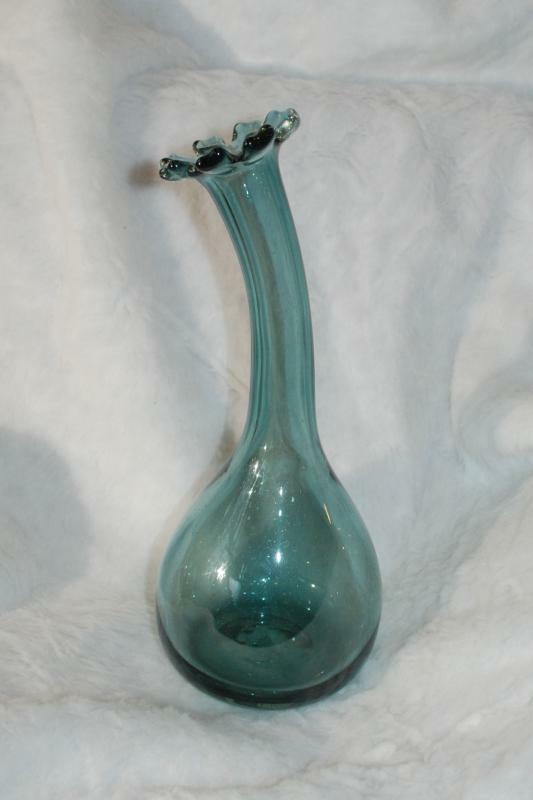 I believe that is from Blenko Glass but there are no tags so I cannot say for sure. 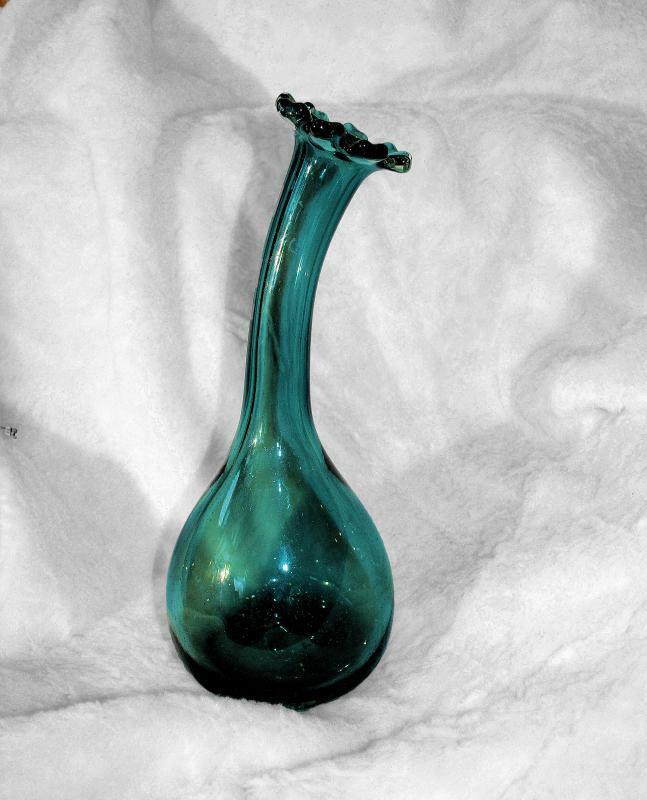 Although it has all the caracteristics that one would find with a Blenko peice. 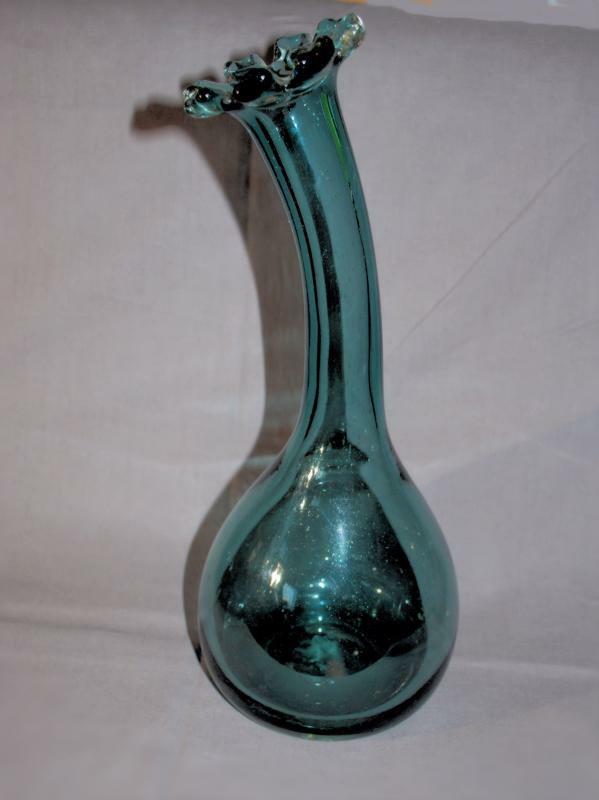 It is just a hair over 14" tall. 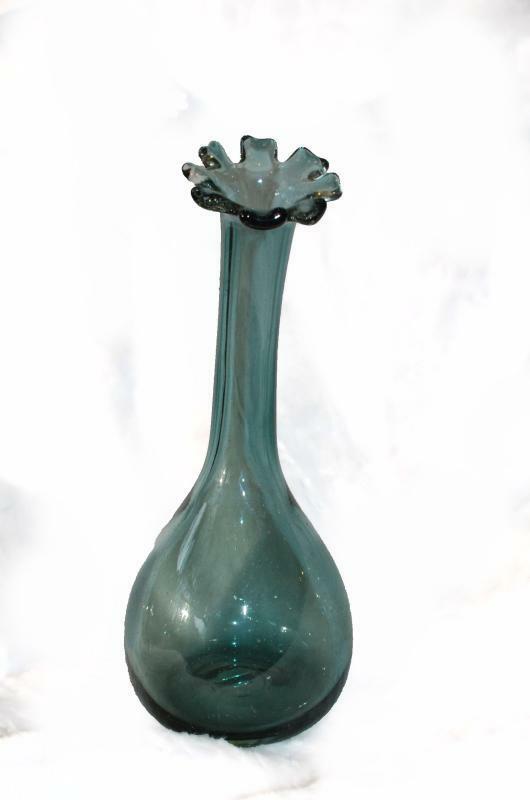 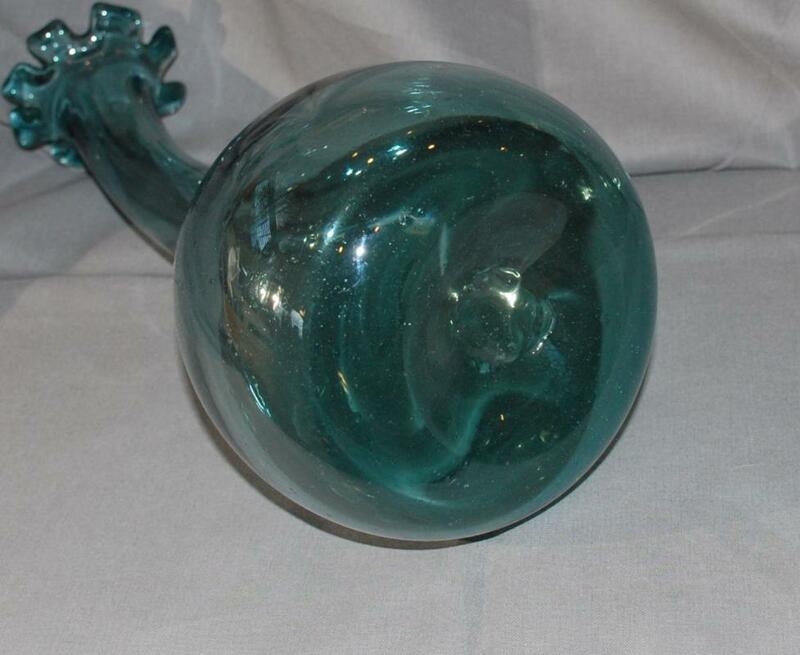 Items Similar To "Mid- Century Dark Teal Blown Glass Curved Neck Vase , Blenko, Art..."